According to our research, 89% of asset management firms use content marketing, but less than half have a documented strategy in place for it. 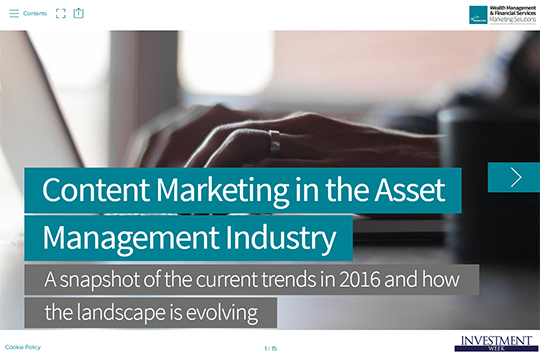 Just how good are asset managers at content marketing? What types of content are being produced? And how is successful content marketing measured? How advanced are processes for producing content marketing? What channels are being used to distribute that content? Where is content marketing really delivering value? This entry was posted in Industry Insight and tagged advertising performance, B2B, content, content marketing, digital offering, knowledge, lead generation, responsive site, social marketing. Bookmark the permalink.